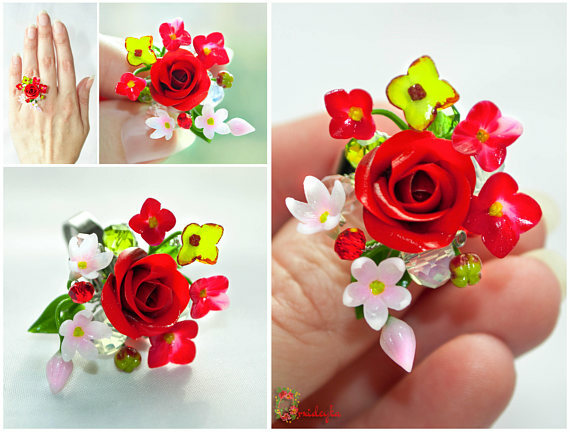 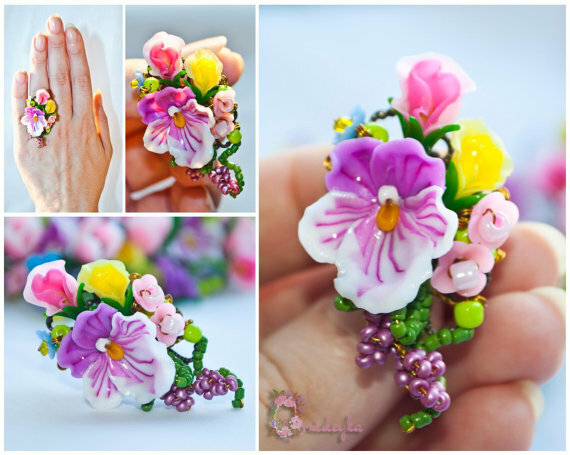 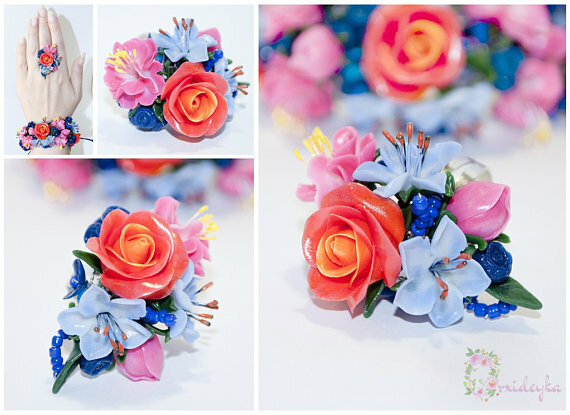 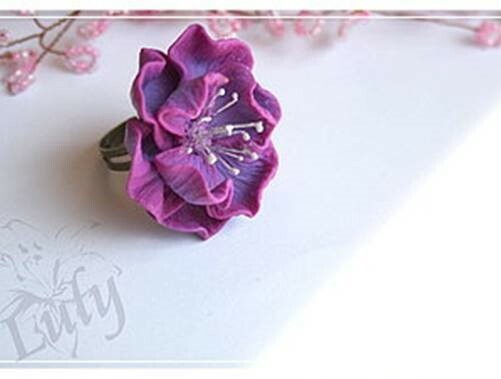 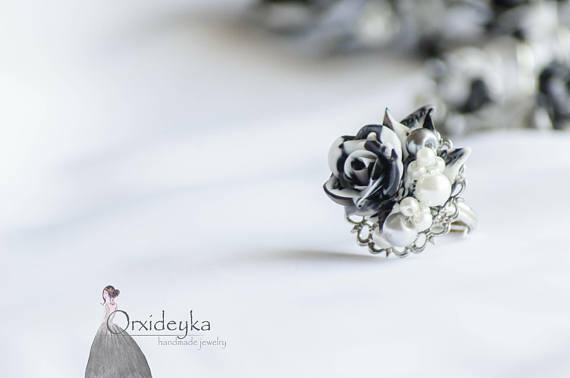 This collection of polymer clay flowers bouquet ring accessories are created for a romantic, fragile and delicate person.They are perfect with fluffy light dress or air skirt. 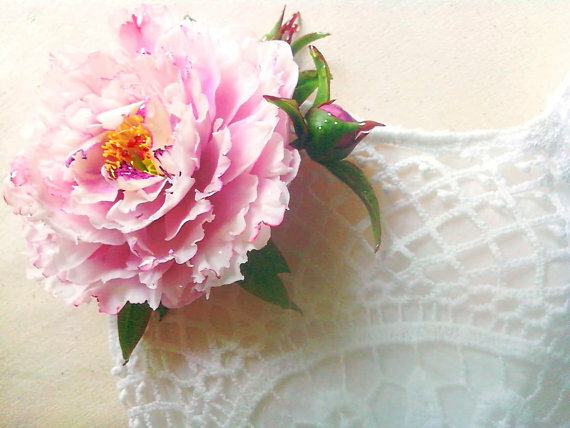 They will strengthen the delicate appearance of the outfit. 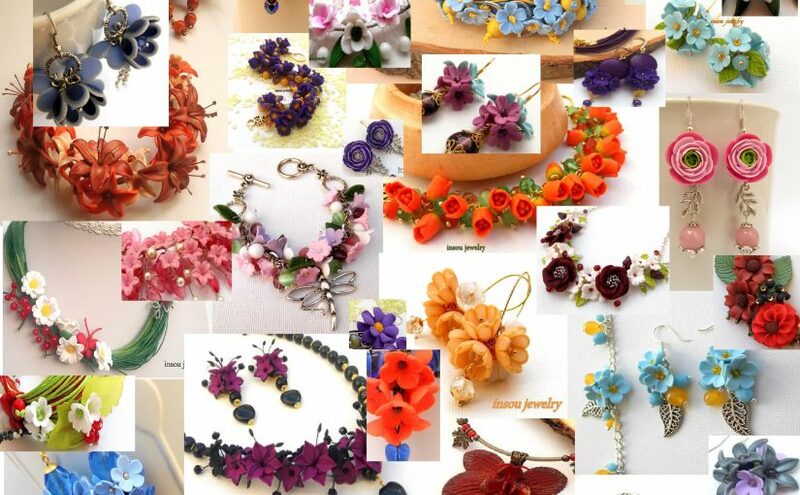 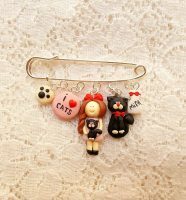 I have collected them from a handmade flower jewelry shop on Etsy, OrxideykaStudio. 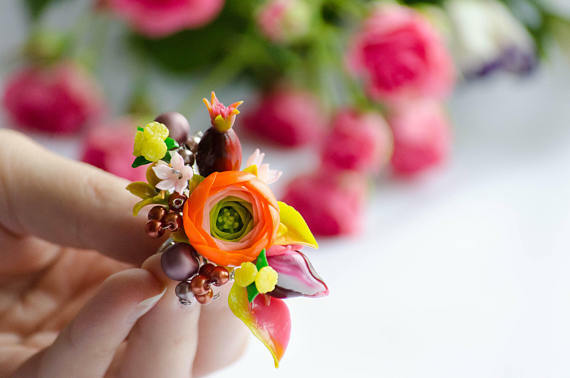 Feel free to order them out there. 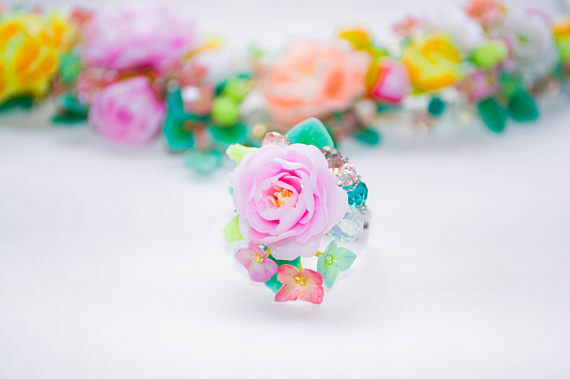 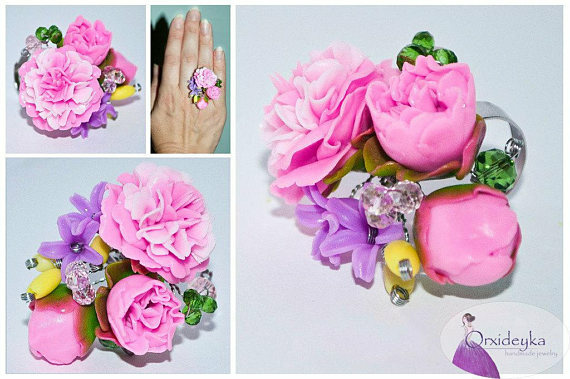 Exclusive handmade ring with bright pink roses, lilac irises, light pink lilac flowers and green cloud berries. 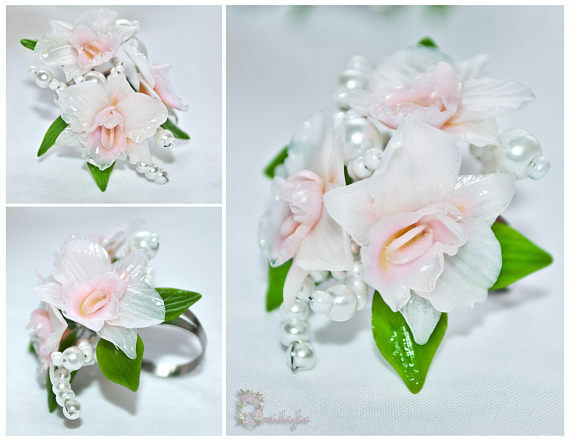 handmade flower ring with beautiful white orchids, green leaves and white beads. 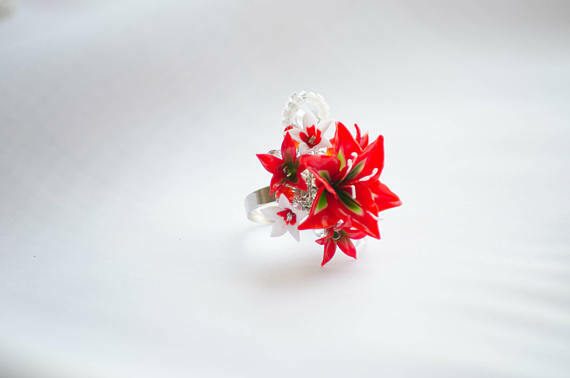 Exclusive handmade ring with scarlet rose, tiny light pink flowers, pear hydrangea and crystal beads. 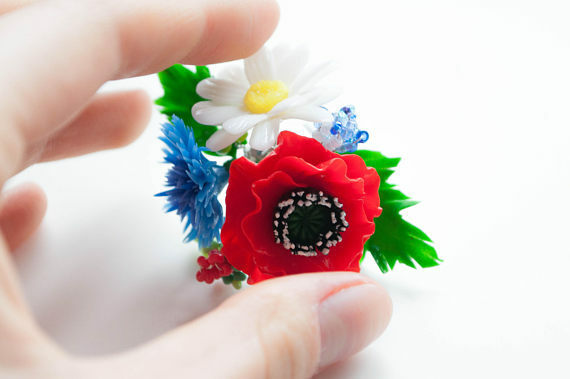 Exclusive handmade ring like a wonderful flower bouquet of blue cornflowers, red poppies and maiden daisies. 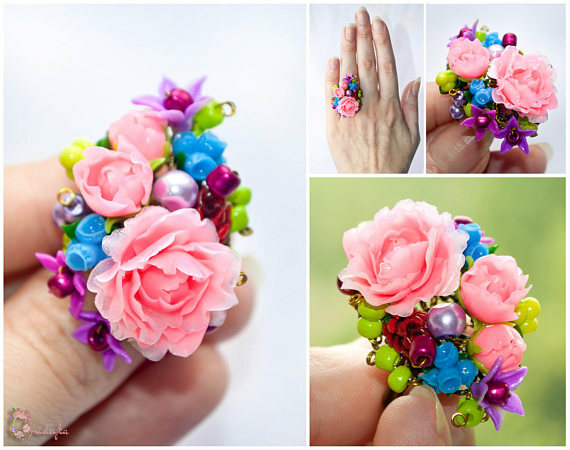 Exclusive polymer clay flowers bouquet ring with fluffy pink peonies, lilacs and beads. 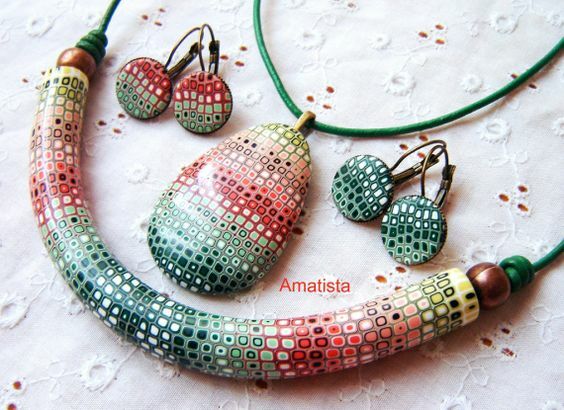 Perfect to match dresses and your smile. 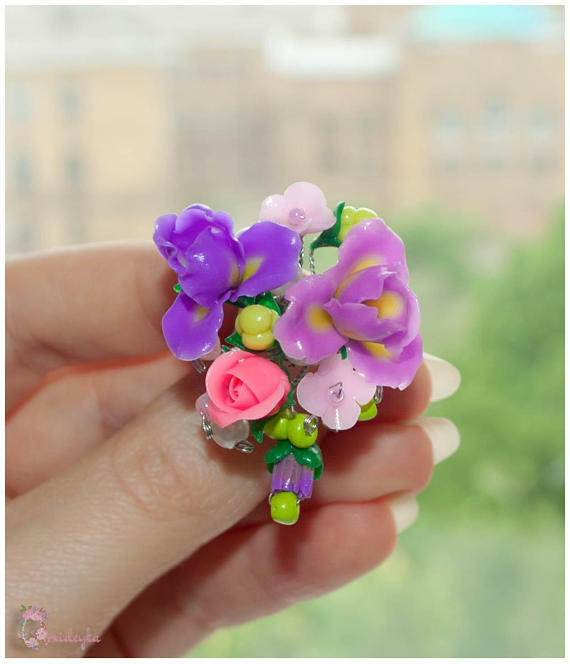 I love the last polymer clay flowers bouquet ring in the collection, the one slight above. 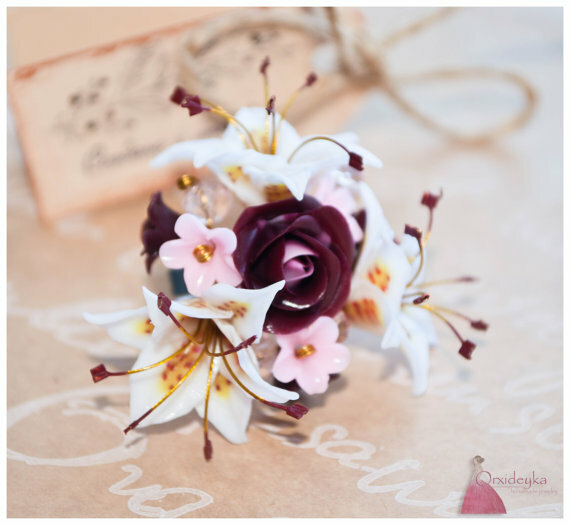 I love the combination of white lilies,bordo roses and small and delicate pink flowers.